Council officers sometimes flout the law on giving extra help to Northampton people with nowhere to live by ignoring homelessness applications, a charity has claimed. The Citizen’s Advice Bureau that covers the town, said it knew of a number of people who wanted to become officially homeless, but had been denied the chance by Northampton Borough Council to make the application. Sad to say, too often it can be difficult to get an authority to accept an application. In law, the council is supposed to at least assist people who submit an application and, if they are a priority case, they should then house them. Martin Lord, of Central and East Northants CAB, which deals with 400 homeless people a year, said: “Do we have problems with the way councils deal with these people? I would have to be honest and say, yes, in many cases we do. “Sad to say, too often it can be difficult to get an authority to accept an application. 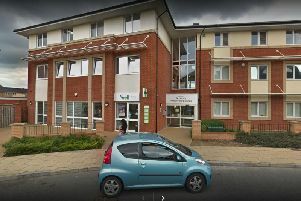 The CAB said the issue was not unique to Northampton and acknowledged that it can be difficult for local authorities to know if an applicant is genuine or is merely looking for a quick route into a new home. But Mr Lord said it was important that the law was followed. He said: “The point with these laws is they have been put in place by Parliament through our democratic system, and if a council deviates from them – either to avoid the eventuality of housing someone or for statistical reasons – it flies in the face of what was intended by Parliament and that is what should make people concerned just as much as the effect it might have on vulnerable people. Statutory protection for homeless people began in 1977 with the passing of the Housing (Homeless Persons) Act. It gave councils the legal duty to house homeless people in priority need and to offer advice and assistance to those who were not a priority. As a result, the borough council said it was unable to say whether the CAB’s claims were true. A spokesman for Northampton Borough Council said: “It is impossible for us to look into this as the Chronicle & Echo is unable to provide any details for us to investigate or respond to. “If someone is homeless or feels they are at risk of becoming homeless, they should contact our homelessness team so we can look at how we can help them.